NEW YORK (Reuters) - Stephen Bruce, owner of Serendipity 3, partnered with luxury jeweler Euphoria New York to create the "Frrozen Haute Chocolate," a blend of 28 cocoas, including 14 of the most expensive and exotic from around the globe. 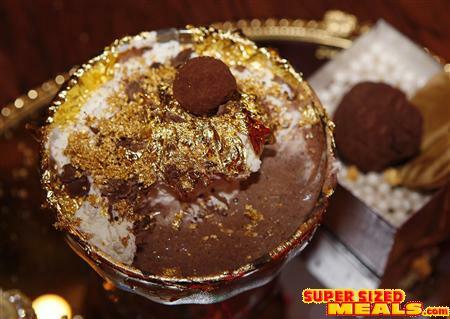 The dessert, spelled with two Rs, is infused with 5 grams (0.2 ounces) of edible 23-karat gold and served in a goblet lined with edible gold. At the base of the goblet is an 18-karat gold bracelet with 1 carat of white diamonds. 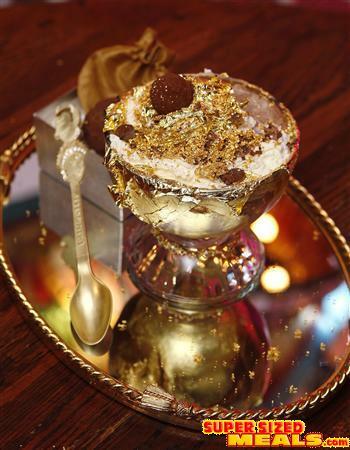 The sundae is topped with whipped cream covered with more gold and a side of La Madeline au Truffle from Knipschildt Chocolatier, which sells for $2,600 a pound. "It took us a long time to experiment with all the ingredients and flavors, and more than three months were needed just to design the golden spoon," Bruce told Reuters. 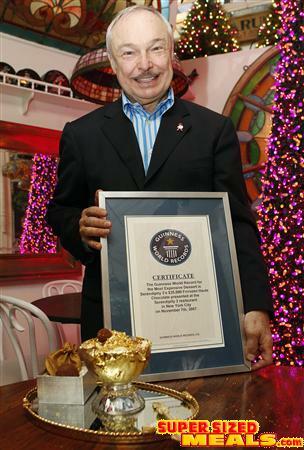 Four years ago, Bruce unveiled a $1,000 ice cream sundae called Golden Opulence, a staple on his menu and a favorite with rock stars, socialites and other celebrities. Both desserts are sold only with advance orders. Bruce said he has received inquiries about his latest creation, mostly from Europeans planning to visit New York. "I wouldn't be surprised if soon we get a call from a Middle Eastern prince or Shah willing to give something sweet to his many wives on his next trip to the city," Bruce said.